You are here: Home / Camborne / Flying Start Nurseries Win A NATIONAL AWARD!!! Flying Start Nurseries Win A NATIONAL AWARD!!! 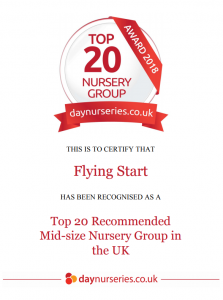 Flying Start Nurseries (SW) Ltd. have been recognised as one of the Top 20 Nursery Groups In The Country!!! This award was voted for on the Day Nurseries national website, and overall Flying Start Nurseries had an incredible score of 9.8 out of 10! 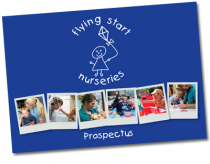 https://www.flyingstart.uk.com/wp-content/uploads/2014/04/day-nurseries-2018-award-logo-all-centres.png 439 441 Steve https://www.flyingstart.uk.com/wp-content/uploads/2014/02/Flying-Start-logo1.png Steve2018-04-07 12:00:282018-04-10 13:39:44Flying Start Nurseries Win A NATIONAL AWARD!!! Flying Start @ Marjon Toddlers Go On Their Own Bear Hunt! Flying Start @ Camborne Toddlers Do Cooking Club!